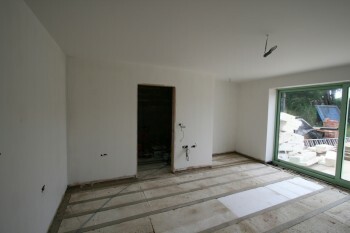 SLB » Building » What a difference the plasterer makes! Things are moving very rapidly. Outside the patio has been laid using Indian limestone. Inside two hundred sheets have been fixed to the walls and ceilings. The decorator applied the first coat of paint as soon as the plaster was dry in the kitchen/living area transforming it from a building site to a beautiful room. 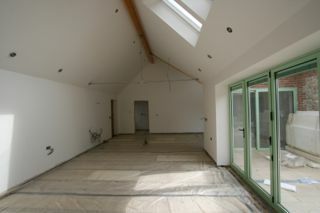 And the bedrooms start to take shape too. 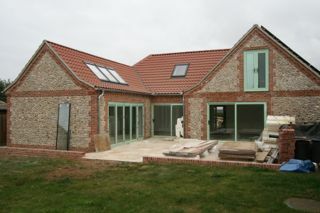 Work continues apace in other areas too. 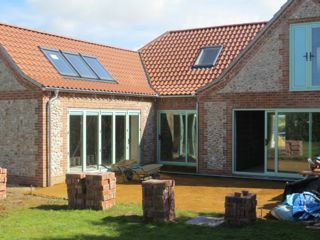 The solar panels have been connected,first fix plumbing and electrics are completed. 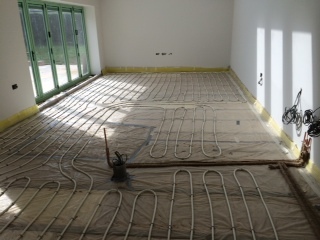 The “plant room” is starting to resemble the bridge of the Starship Enterprize and we haven’t even started on the air source heat pump yet. 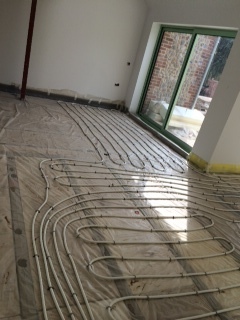 Underfloor heating is being laid throughout the ground floor in preparation for the Flow screed to be pumped at the beginning of October. 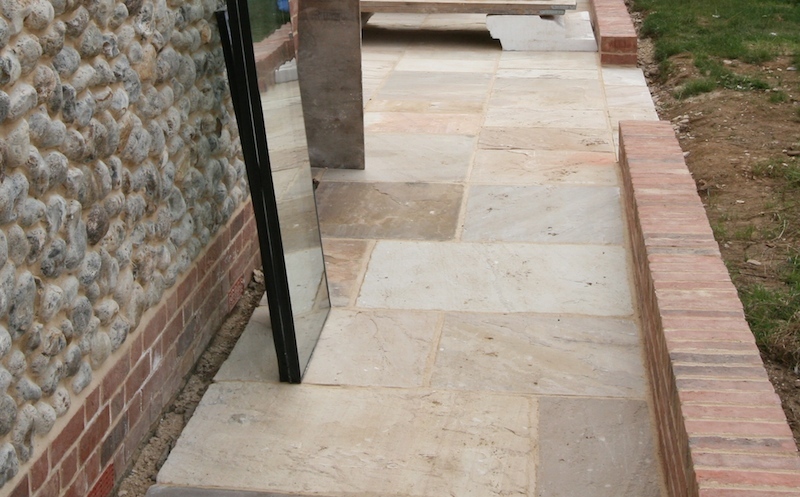 It will finally be safe to walk on the floors without fear of falling through the polystyrene insulation between the beams!